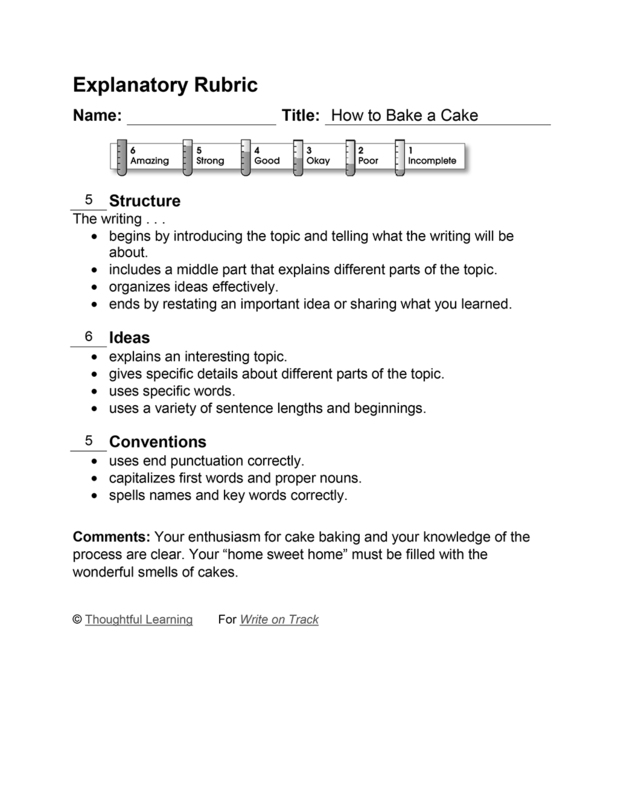 This third-grade explanatory essay explains how to bake a cake. I love to bake cakes because they make a tasty snack. If you are wondering how to bake a cake, and you don’t know how, this is the way to do it. The first thing you do is go to the store and get the mix, eggs, milk, and oil. Then you drive back to home sweet home. Next you get a large bowl. After that, you pour in the mix, crack the eggs, and add the milk and oil. Then you set the oven to 350º F. Next you stir it for about 2 minutes. After that you pour it into the pan and put it in the oven for 35-45 minutes The last thing you do is let it cook and wait for a yummy surprise. How to Bake a Cake by Thoughtful Learning is licensed under a Creative Commons Attribution-NonCommercial-ShareAlike 4.0 International License. Based on a work at k12.thoughtfullearning.com/assessmentmodels/how-bake-cake.